On 16th July 2016 the ROG's 37800 approaches Clapham Junction hauling 2418 and 2415 from Three Bridges to Eastleigh for store. Thameslink on a Bedford service), 387201 at East Croydon. 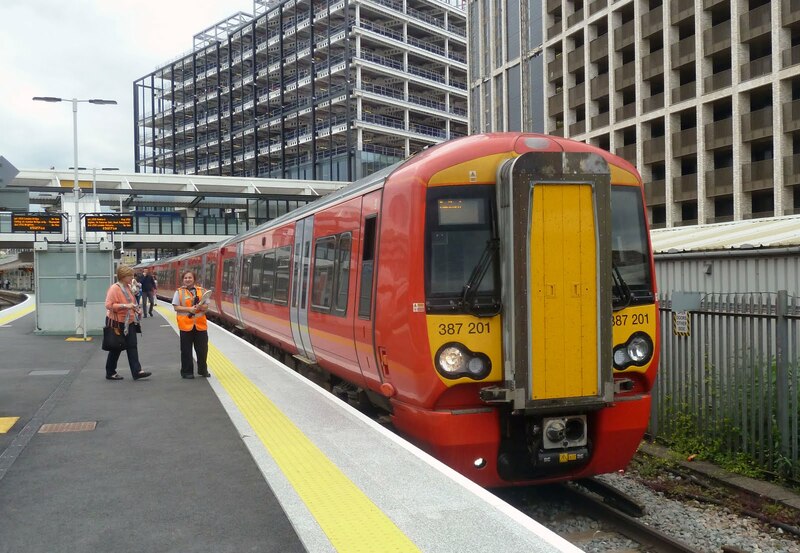 With the continued introduction of new class 387 units on Gatwick Express duties the winding-down and storage of class 442 'Wessex Electric' units has gathered pace. 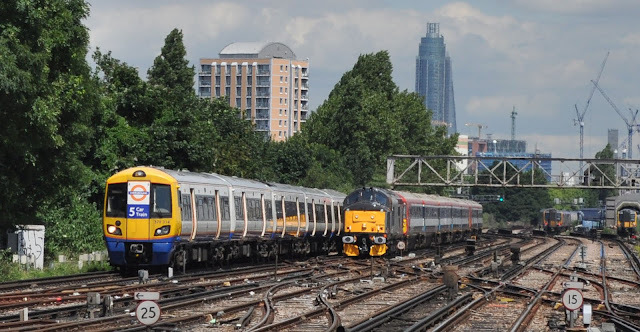 Once trains have been taken out of service they are being held initially at either Brighton Lovers Walk or Three Bridges depots before being moved on behind diesel traction to Eastleigh works for further storage. Due to space constraints at Eastleigh the units which are likely to be in store for at least the medium term are beginning to be moved onward to the Potters Group sidings at Ely for further storage. Moves away from the Brighton Mainline are being carried out by the Rail Operations Group which has seen it's two ex-French Heavyweight class 37's, 37800 and 37884 along with recent purchase 47812 involved in the transfers. A class 47 is due to remain at Ely throughout the storage contract to provide a shore supply to the 442 units. Those currently considered to be in 'warm store' at Eastleigh are seeing some limited use with the ROG on 'warming runs' from Eastleigh to Basingstoke to keep the units in good order. 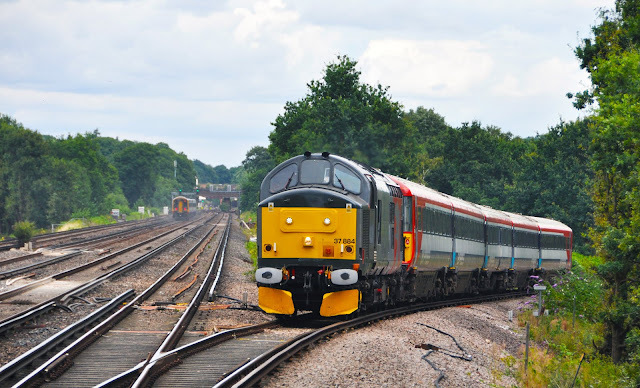 37884 hauls 2420 onto the South West Mainline at Byfleet & New Haw on 4th August 2016. The future for the 24 1988 built train sets is still unclear. In the short to medium term Southern will be retaining 6 sets to provide peak hour services from London to Eastbourne while the remaining 18 of the fleet are set to transfer to store.